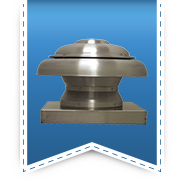 Roof Top Fans | S&P Canada Ventilation Products, Inc.
UBS and UBS-P are high capacity roof mounted exhausters rated from 7,000 to 51,000 CFM. 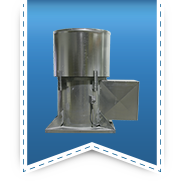 They are general ventilation units designed to economically remove large volumes of air, fumes and vapors from commercial and industrial buildings such as warehouses, manufacturing and assembly plants, chemical plants, foundries and paper mills. The AR series offers powerful axial exhaust (ARE) or supply (intake) (ARS) performance in a compact, lightweight and easy to install roof mounted design. Available in 4 model sizes, the AR series has a CFM range from 163 to 2,827 CFM, with static pressure capability up to 3/4". The KSFV fans are roof curb or curb cap mounted filtered supply fans rated from 475 to over 12,600 CFM, with static pressure capabilities to 2-1/2". 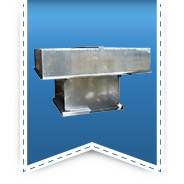 They are specifically designed for non-tempered, filtered make-up air in kitchen hood applications. KSFV construction includes galvanized construction to provide maximum weather protection, long life and the utmost in performance efficiency. The forward curved centrifugal blower provides efficient airflow at low sound levels with static pressure capabilities to handle ducted air systems or hoods within a building. The filters are washable and are reusable to reduce maintenance costs. Centrifugal Filtered Supply Fans units are roof mounted filtered supply fans rated from 375 to over 13,000 CFM, with static pressure capability up to 2". 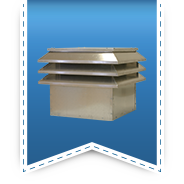 CSF's rugged, heavy-gauge galvanized hood and stack provide maximum weather protection and long life. All models are belt driven for easier performance adjustment and quieter operation. Adjustable motor pulleys further simplify fan speed changes. 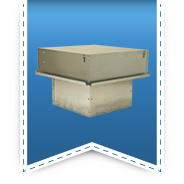 Louver Filtered Supply Fans units are roof mounted filtered supply fans rated from 375 to over 13,000 CFM, with static pressure capabilities to 2". LSF's architecturally pleasing; heavy-gauge aluminum louver design provides long life and the utmost in performance efficiency. All models are belt driven for easier performance adjustment and quieter operation. Adjustable motor pulleys further simplify fan speed changes. HRSB and HRSD are roof mounted supply fans rated from 4,000 to over 56,000 CFM, with static pressure capability up to 3/4". They are used in a variety of commercial and industrial operations such as warehouses manufacturing plants, equipment and machinery rooms, assembly plants and similar facilities to provide fresh outside air for personal comfort and to reduce negative pressure caused by exhaust systems. HREB-C and HRED-C are roof mounted low profile exhaust fans rated from 5,700 to over 40,000 CFM, with static pressure capability up to 3/4". Seven sizes are available from 24-60" with an AMCA rating for Air and Sound performance. 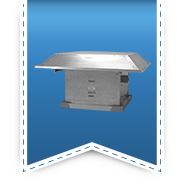 Fans, hoods and bases are available in galvanized or aluminum construction. They are used to exhaust air from a variety of commercial and industrial operations such as manufacturing and assembly plants, warehouses, garages, laundries and similar buildings. 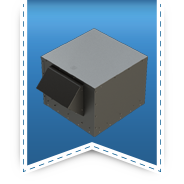 UBSRD units are high capacity, belt driven roof mounted exhausters rated from 4,900 to 52,000 CFM. The motor and drives are located outside of the exhaust airstream, making these units especially suited for the removal of heated or contaminated air from commercial and industrial buildings or processes where these conditions exist. All models are capable of continuous operation, exhausting air up to 200°F. UBSRD-HT and UBSRD-HT1 has been designed and tested for emergency heat and smoke removal. 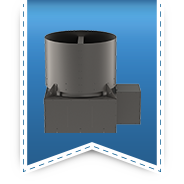 This design also lends itself to everyday non-emergency high capacity industrial and commercial roof exhaust applications. These fans successfully passed heat tests of 1000°F for fifteen (15) minutes, and 500°F for over four (4) hours by an independent testing agency. UBSRD-HT and UBSRD-HT1 exceed I.R.I (Industrial Risk Insurers) guidelines as "Power Ventilator for Smoke Control Systems." Tubeaxial Upblast Propeller Roof Exhauster Fans are designed for high capacity industrial and commercial roof exhaust applications. 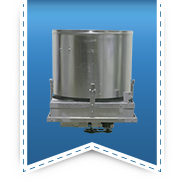 The remote drive configuration of the TUB is especially suited for the removal of fumes, vapors, steam, dust, smoke and contaminated or heated air. Belt drive models are available for continuous operation in air temperatures to 200°F. 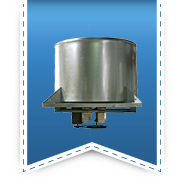 For temperature ratings to 1000°F and/or IRI requirements refer to TUB-HT. Tubeaxial Upblast Propeller Roof Exhauster for Heat and Smoke Removal Fans has been designed and tested for emergency heat and smoke removal. This design also lends itself to everyday non-emergency high capacity industrial and commercial roof exhaust applications. TUB-HT's successfully passed heat tests of 1000°F for fifteen (15) minutes, and 500°F for over four (4) hours by an independent testing agency. TUB-HT exceeds I.R.I (Industrial Risk Insurers) guidelines and is UL-793 Listed as "Power Ventilator for Smoke Control Systems." UBB and UBX are high capacity roof mounted exhausters rated from 5,900 to 78,000 CFM. They are general ventilation units designed to economically remove large volumes of air, fumes and vapors from commercial and industrial buildings such as warehouses, manufacturing and assembly plants, distribution centers, chemical plants, foundries and paper mills. 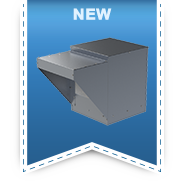 UBRD units are high capacity belt driven roof mounted exhausters rated from 4,500 to 72,000 CFM. 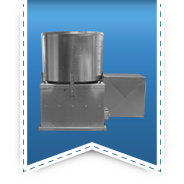 The motor and drives are located outside of the exhaust airstream, making these units especially suited for the removal of heated or contaminated air from commercial and industrial buildings or processes where these conditions exist. All models are capable of continuous operation exhausting air to 200°F. Forward Curved Belt Driven Roof Fans is designed to exhaust air up to 77,500 CFM, with high static pressure capability up to 2-1/2". The galvanized steel exterior provides an attractive appearance. The belt drive results in lower operating RPM and sound levels, making the RFC well suited to applications where quiet operation is important. The belt drive also permits easy performance adjustments when needed to balance the total ventilation system.